It’s no news that Japanese writing is a complex affair. Apart from the sheer number of characters — 46 each for the modern hiragana and katakana syllabaries plus an almost open-ended number of kanji — there are also various rules about when to use what. One basic principle is that lexical vocabulary is to be written in kanji, whereas grammatical material is spelled in hiragana. Unfortunately, this distribution is not as clear-cut as it may seem, with many cases where you would expect kanji but get hiragana instead. One example is hiragana in words containing complicated or rarely used kanji. The resulting kanji-kana hybrids, also known as 混ぜ書き (mazegaki, mixed writing), always look a little makeshift to me, but they are far too many to ignore. Most visible perhaps is 処方せん (shohōsen, prescription), which is a common sight on signs outside pharmacies. Other examples, found more frequently in the news as of late, are 隠ぺい (inpei, cover-up), 漏えい (rōei, leakage), 改ざん (kaizan, falsification), and ねつ造 (netsuzō, fabrication). 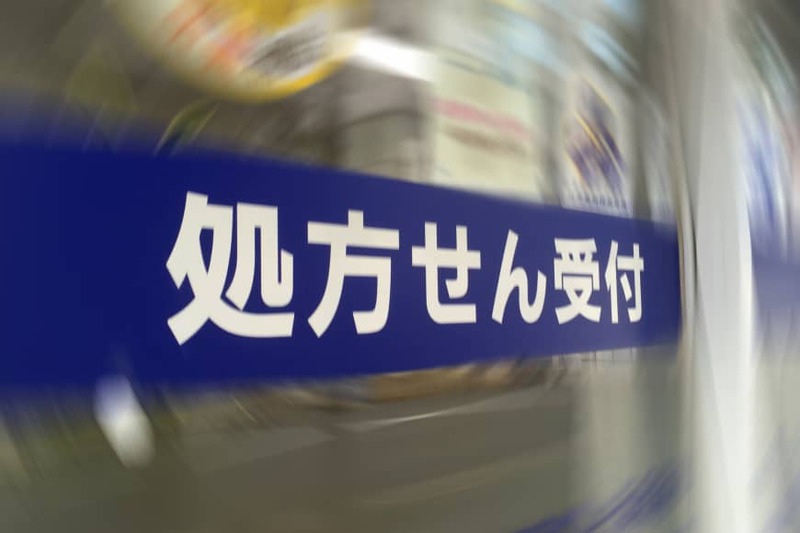 While the hiragana part often stands in for a kanji that is not the 常用漢字 (jōyō kanji, the list of 2,136 “kanji for common usage” as defined by the Agency for Cultural Affairs), official writing rules are not the only criteria. A case in point is the kanji-kana compound 躁うつ (sōutsu, manic-depressive). A look at the jōyō kanji list reveals that actually the “manic” first part of the term is not included, while the “depressive” second part is. 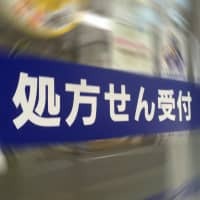 If the rules were followed here, the spelling would be そう鬱. Now that does look depressing. A second reason for kanji avoidance is political correctness. Take the term 障害者 (shōgaisha), which refers to people with disabilities. Since the middle kanji, 害, means “damage” or “harm,” it is often rendered in hiragana, resulting in the mixed term 障がい者. Incidentally, the がい in this term was originally written 碍, which has much less negative connotations. It was replaced by 害 only after the war, when 碍 didn’t make it onto the official list of kanji that had to be learned at the time. Political correctness is also an issue for the term 子供 (kodomo, child). The problem here is with 供, which originally means something like “attendant” or “servant.” Nowadays this seems somewhat infelicitous for defining a healthy adult-child relationship. Though the kanji-only spelling is still widely used, many people prefer the mixed spelling 子ども. As witnessed by the U.N. Convention on the Rights of the Child, the Japanese version of which is titled 子どもの権利条約 (kodomo no kenri jōyaku). An entirely different situation where hiragana commonly gains the upper hand is when the corresponding kanji term actually has two readings and the more casual of these is preferred. Two everyday examples are 昨日 (yesterday) and 明日 (tomorrow). If you want these to be read kinō and ashita, so as to avoid the stilted alternatives sakujitsu and myōnichi, just write きのう and あした. The biggest factor in favor of hiragana, however, is what linguists call “grammaticalization.” This is the process of originally lexical material taking on grammatical functions. A textbook example from English is the “going to” construction, which is now used as a future marker, even in sentences such as “It’s going to rain,” where there are no physical acts of “going” whatsoever. In Japanese, the corresponding 行く (iku, go) has also gone grammatical. While still alive and kicking as a lexical verb that describes spatial movements from A to B, when combined with another verb it expresses continuity, as in 段々寒くなっていく (Dandan samuku natte-iku, It’s getting colder and colder). It also occurs in prohibitive constructions like 入ってはいけません (Haitte wa ikemasen, Do not enter). In both cases 行く is commonly written in hiragana, since it expresses grammatical meaning (aspect, modality) rather than real act of “going” somewhere. An endless number of similar kanji-turned-hiragana examples could be added to the list. To name but a few, there is the quotation marker という (to iu, called, said), which derives from the lexical verb 言う (iu, say); there is とき (toki, when), which peacefully coexists with 時 (toki, time); there is できる (dekiru, can), which is now much more common than the corresponding kanji spelling 出来る; and there is ながら (nagara, while), which no one spells using 乍 anymore. An interesting thing about these spellings is that unlike the other examples given above, they are actually not deviations from the kanji-hiragana rule. Quite the contrary, in preferring hiragana over kanji for grammaticalized vocabulary, they follow that very rule to the letter. Apart from that, and apart from the fact that Japanese writing remains a complicated affair, there is some consolation in the fact that sometimes the simplest way is the best.